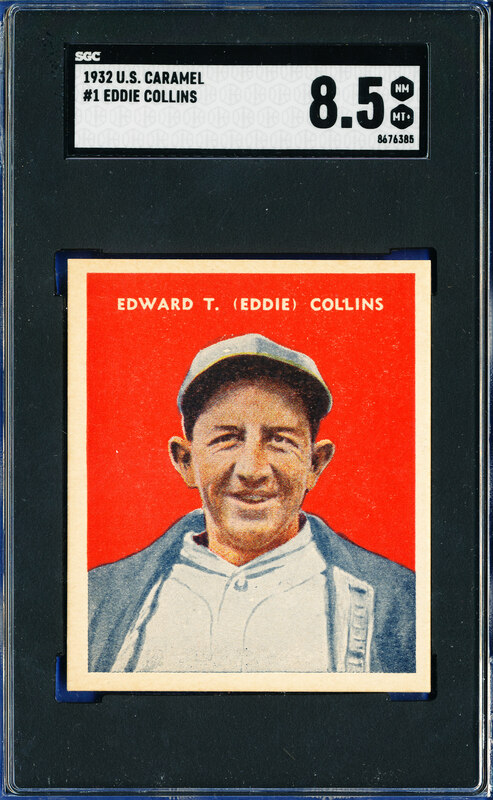 Extremely rare 1932 U.S. Caramel #1 of Hall Of Famer Eddie Collins! 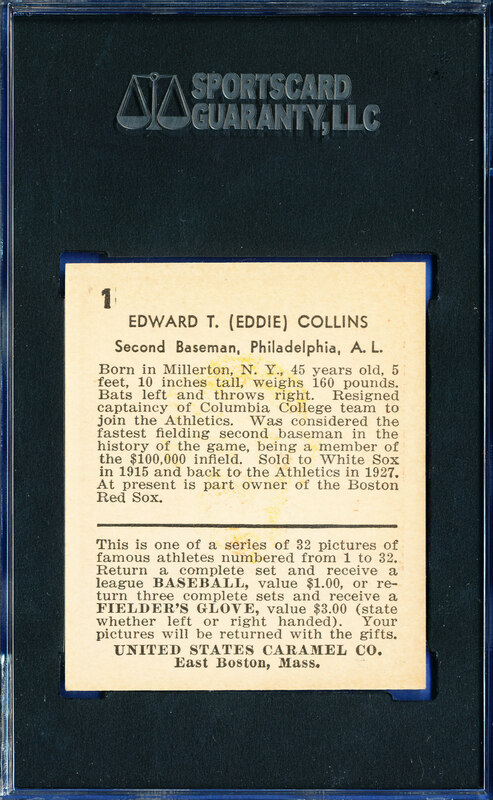 Population Reports on both PSA & SGC websites show this as 1 of only 1 Ever Graded by either company in an 8.5 and only 1 has ever been graded higher by either company that card is a PSA 9!! THIS IS THE 2ND TO THE HIGHEST QUALITY KNOWN TO MAN From one of the most sought after sets in the industry!! Due to the quality and rarity of this card there is a Respectable Reserve.